New Jersey State Law (N.J.S.A. 39:3-10a) requires payment of a $100 fee for the restoration of any license or registration that has been suspended or revoked pursuant to any law or regulation. This fee is in addition to any fees that may be related to alcohol related suspensions. Pay in person at a Full Service motor vehicle agency. Please include your driver's license number on all payments. It is the driver’s responsibility to submit proof of payment of outstanding fines or tickets to the MVC to be restored. Once you have satisfied the reason for the suspension, completed any suspension period that had been ordered and paid the required fees, you will receive a Notice of Restoration in the mail. If the license was surrendered and has expired, follow the same steps for a standard license renewal to obtain a new license. *If you receive three license suspensions within a three-year period, you may lose your license for up to three years. The MVC does not issue parking tickets nor collect payments on them. All tickets and suspensions are processed through the New Jersey municipal courts and the MVC is required to follow the actions of the court by recording the suspension to the driver history record. Follow the instructions on the back of the ticket. It is usually possible to pay online, by mail or in person at the court. If you have lost your parking ticket, please contact the municipal court where your ticket was issued. Once satisfied, you must submit proof of satisfaction to the MVC. Get a copy of the original ticket (not the summons) from the municipality that issued it. Write a letter to the MVC explaining that the plates are no longer yours or does not match the vehicle you own; include your signature.. Include the license plate number that was ticketed, your new plate number, your driver's license number, and your address.. If you surrendered the old plates and kept the receipt, please provide a copy of that receipt. The MVC will complete a search for the plate number and send you a letter with the results. You should retain a copy of that letter for your records in case of a future occurrence. Driving is a privilege, not a right. If you violate traffic laws, your driving privileges could be suspended or revoked resulting in fines and even imprisonment. The seriousness of your violations - and resulting penalties - are tracked by the MVC using a point system. If you are convicted of a moving violation, the MVC will penalize you by adding points to your driving record. You will only get points on your record for moving violations - points are not assessed for parking and other non-moving violations. A table is provided for more information on the number of points earned for specific violations. How do points affect you? Getting points on your license may also increase your insurance rates. Contact your insurance carrier for details. How can I get rid of points on my record? Although the MVC keeps a permanent record of all the points you've earned, it is possible to earn point deductions by remaining violation and suspension-free for one year or by taking qualified driving courses approved by the MVC. Note: Your insurance company might not factor these deductions into your insurance rate. Year begins on date of violation or most recent restoration. May be used to subtract points once every five years. May only be used to subtract points once every two years in response to MVC proposed action. May only be completed one time when ordered by MVC to attend. Point assessments for the most common offenses are listed below. 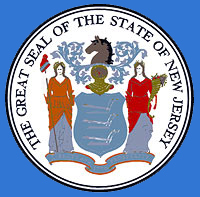 Be advised that local municipal ordinances and violations occurring on the New Jersey Turnpike, Garden State Parkway or Atlantic City Expressway that have a Title 39 equivalent will be assessed points. Even though you are a New Jersey driver, you can still acquire points and penalties for violations committed in other states. New Jersey is a member of two compacts that enforce this policy. Consists of 45 states and the District of Columbia. States not included are Georgia, Massachusetts, Michigan, Tennessee, and Wisconsin. Members in this compact exchange all violation information. Out-of-state moving violations are worth two points. For example, if you receive a speeding ticket in Florida, you will get two points on your New Jersey driving record for that violation regardless of how many points it may have been assessed if it occurred in New Jersey. Consists of 44 states and the District of Columbia. States not included are Alaska, California, Michigan, Montana, Oregon, and Wisconsin. Assures non-resident motorists the same rights and privileges as residents. Non-resident drivers have due process protection and cannot be detained out-of-state. Requires drivers to fulfill the terms of traffic citations received in member states or face the possibility of license suspension in their home state. Does not apply to parking or standing violations, highway weight limit violations and violations of Hazmat transportation laws. Submit a photocopy of the declaration page of your current insurance policy describing the vehicle(s) and coverage. Surrender the registration certificate(s) and license plates to the MVC; AND submit a photocopy of the receipt for the surrendered license plates. If the license plates are no longer in your possession, you must submit an RSC-6 form explaining what happened to the license plates. Please include your name, driver's license number, and day time phone number on all correspondence. If your registration privileges are suspended, you should not drive or operate the vehicle(s) until you have received written notification from the Chief Administrator of the Motor Vehicle Commission that your registration privileges, and the registration for that vehicle, have been restored. If your driving privileges have been suspended, you should not operate a vehicle until you have received written notification from the Chief Administrator of the Motor Vehicle Commission that your driving privileges have been restored. In New Jersey, a person with a blood alcohol concentration (BAC) of 0.08% or greater who operates a motor vehicle or a boat is considered to be driving under the influence (DUI). The law also provides that operating a motor vehicle while under the influence of intoxicating liquor, narcotic, or hallucinogenic or habit-producing drug may be proven by other observational-type evidence with or without a particular BAC test result. Additionally, if you "permit another person" who is "under the influence" pusuant to the DUI statute to operate a motor vehicle or boat that you own or is in your custody or control, you are also subject to the DUI law's mandatory penalties.. Completion of Intoxicated Driver Program. Action filed in State Superior Court by the MVC. This may include securing a lien against your property, garnishing your wages or other similar action. Mandatory fines and penalties for DUI. *NOTE: a second offense 10 years or more after a first offense will be treated as if a first offense for purposes of sentencing on that matter; also a third offense 10 years or more after a second offense will be treated as if a second offense for purposes of sentencing on that matter. However, there are no statutory "step-down" treatments beyond a third offense. In New Jersey if you get arrested for a DUI, you must take an Alcotest/Breathalyzer test. When you get your license in New Jersey, you give consent for this test, known as "implied consent." If you refuse to take an Alcotest/Breathalyzer test, you will be detained and brought to a hospital where hospital staff may draw blood. If convicted of refusing to submit to a test, the penalties are similar to a conviction for DUI. Underage drinking may cause a six-month delay in getting a license. Alcohol and drug-related offenses require completion of an alcohol screening and evaluation program. In certain circumstances, driving while suspended for a DUI could be an indictable offense, punishable by 180-days in jail. Participation in alcohol education and highway safety programs at an Intoxicated Driver Resource Center (see below). If your license was suspended for a DUI offense, the court may require you to install an ignition interlock device to prevent a vehicle from starting if your BAC exceeds 0.05%. Residents of New Jersey must have the device installed at an installation site within the State of New Jersey. First DUI offense: Installation of interlock device for six months to one year upon restoration (judge's discretion); BAC 0.15% or greater requires mandatory installation of ignition interlock device during license suspension and for six months to one year following restoration. Second DUI offense: Mandatory installation of interlock device during license suspension and for one to three years following restoration. If the court orders you to install an interlock device, you will receive a notice of suspension from the MVC with instructions on how to obtain the device. IMPORTANT NOTE: Failure to have an ignition interlock installed when ordered by a judge could result in the denial of restoration and an additional one year driving privilege suspension if convicted of driving without an interlock device. For installation availability for motorcycles and autocycles please contact the listed manufacturers directly. Ignition interlock manufacturers have installation locations throughout New Jersey. When selecting an ignition interlock provider, consider the installation and monitoring fees and installation center site convenience. 590 East Western Reserve Rd. Download the most frequently asked questions [pdf] about ignition interlock devices. Any person convicted of an alcohol and/or drug related traffic/driving offense, if court ordered, must participate in a program at an Intoxicated Driver Resource Center (IDRC). New Jersey has an IDRC in each county for first and third-time offenders and regional IDRC 48-hour centers for second-time offenders. During the program, offenders receive mandatory alcohol and highway safety education training. IDRC also screens each offender for any possible addiction problems and determines the need for a full addiction assessment. If the assessment determines that treatment is needed, the offender must successfully complete treatment and be monitored for a minimum of 16 weeks by the IDRC. IDRC reports non-compliance with education and/or treatment to the courts and the Intoxicated Driving Program (IDP). IDP makes a recommendation to the MVC for suspension or restoration based on the offender’s successful completion of conviction requirements. Satisfactory participation in IDRC is a step toward restoring your license. Failure to comply will result in further license suspension and possible jail time. The NJ Department of Human Services, Division of Mental Health and Addiction Services, Intoxicated Driving Program (IDP) coordinates the operation of the IDRC’s statewide, whose contact information can be found on their website at http://www.state.nj.us/humanservices/dmhas/resources/services/treatment/addictions/IDRC_Directory.pdf.